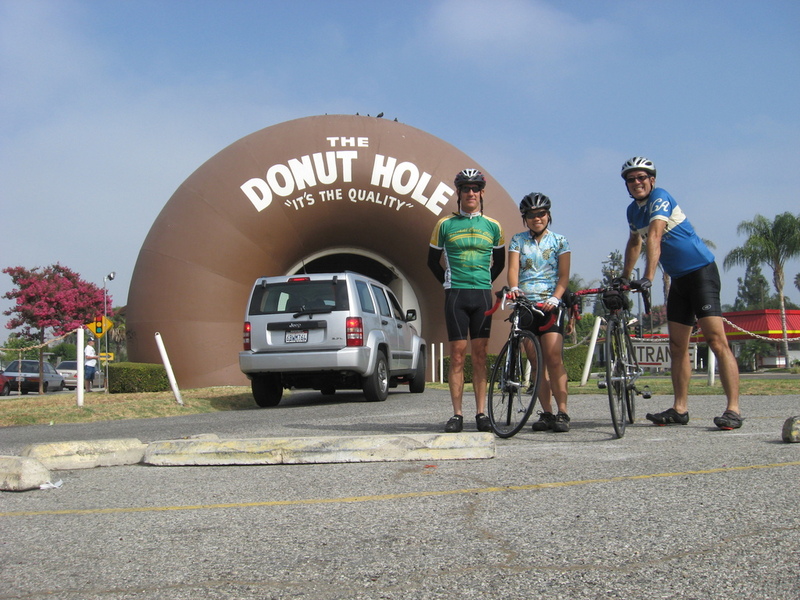 Today’s bike club ride was the route out to La Puente to see the Donut Hole. 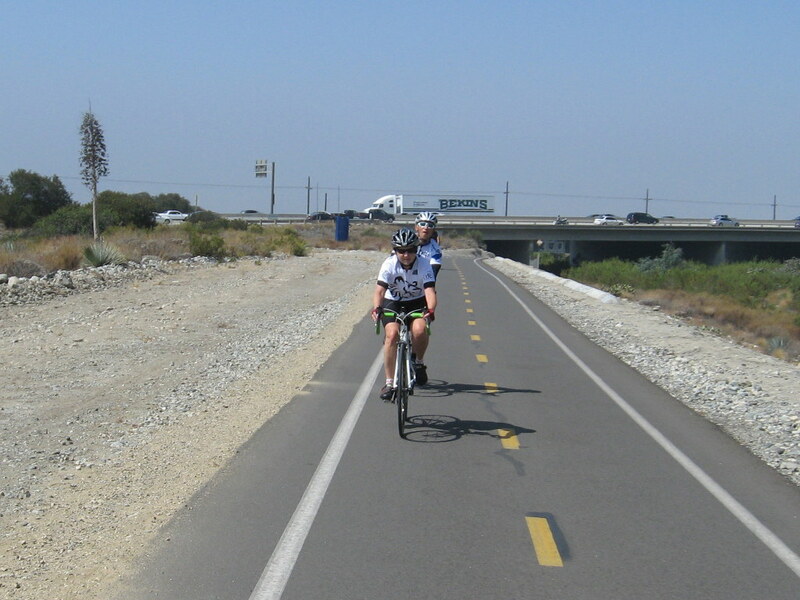 The last time we did this ride was back in January. That was the day we saw the Weinermobile. It was a perfect summer day for riding. 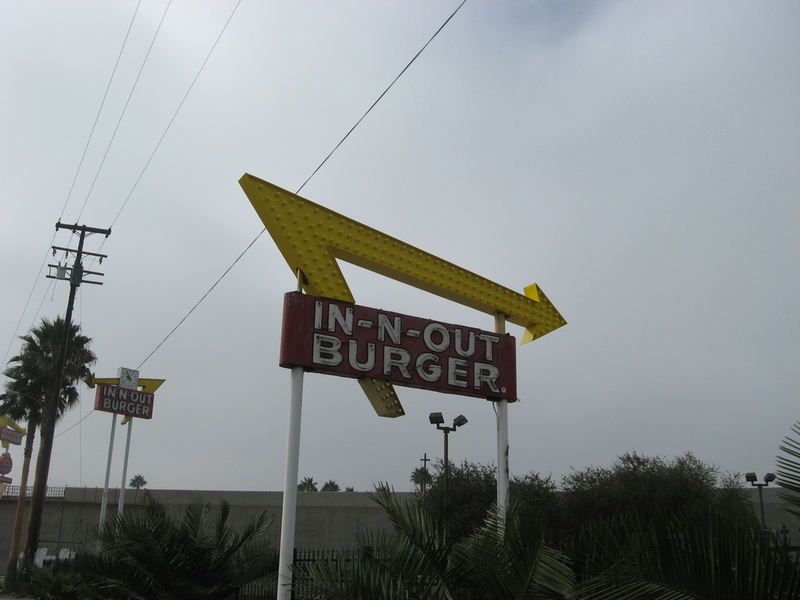 ON the way out, we passed the original In-N-Out Burger location in Baldwin Park. The sign is all that’s left now. 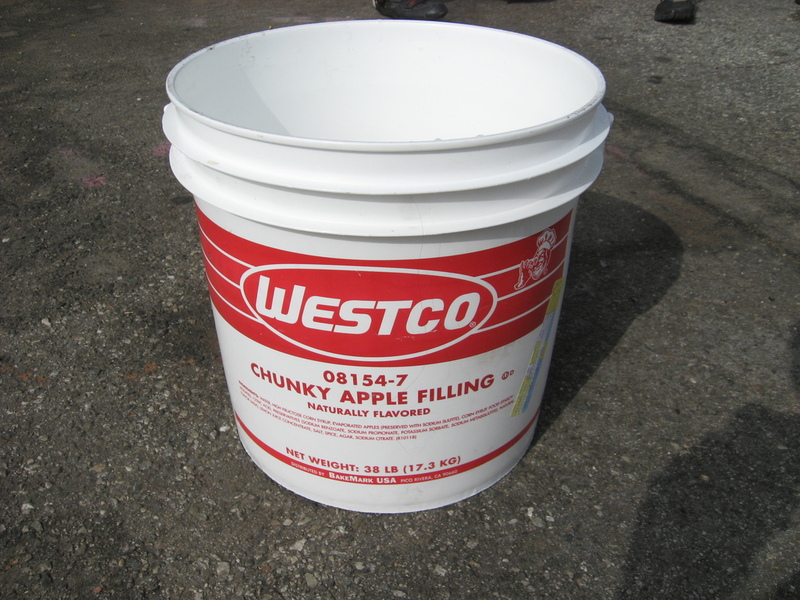 At the Donut Hole, there was an empty bucket of apple filling. That was perfect to balance the camera on for our picture. 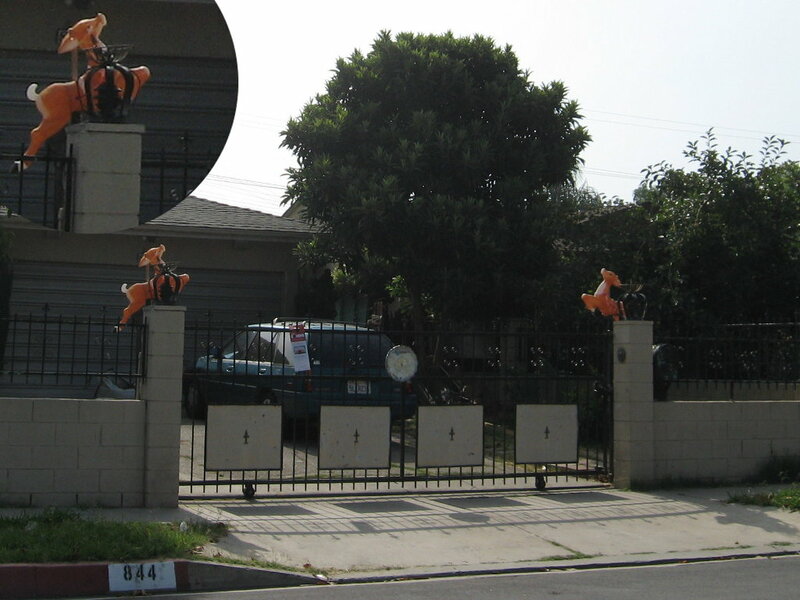 Continuing on, we passed the house with the plastic reindeer permanently mounted by the driveway gate. It was right around there where I first heard my bike making a little ticking noise. When we got to a nice shady spot, I stopped and had a look. 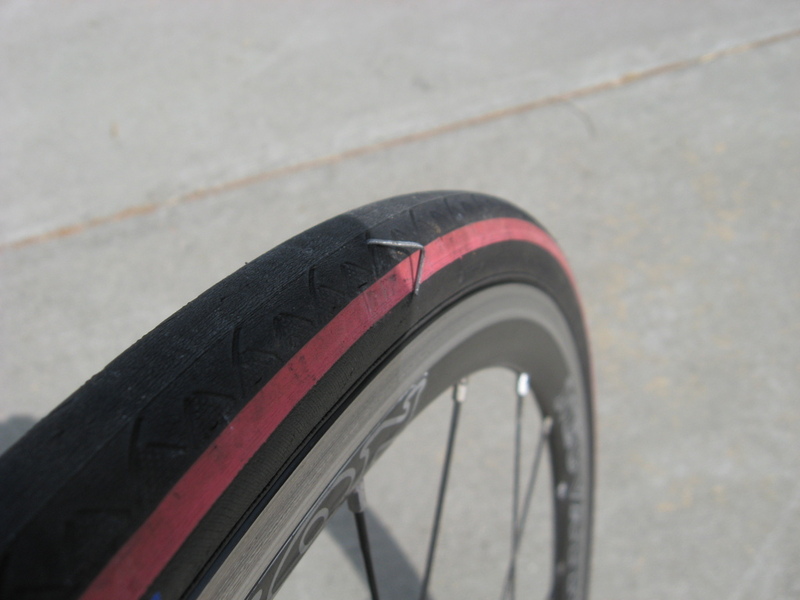 That was when I saw the staple stuck in my tire. So Carla took the camera and got my flat tire picture. 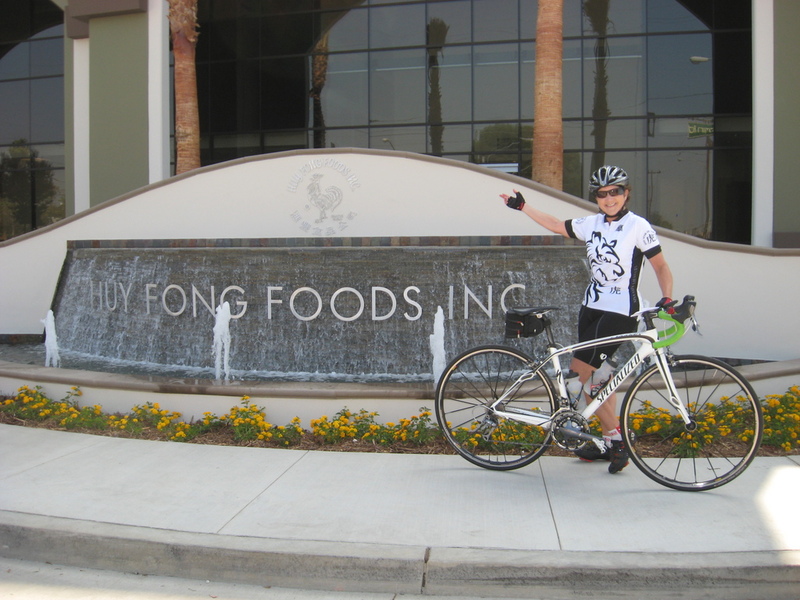 On the way back, we stopped off to see the big new Huy Fong Foods building in Irwindale. They’re coming along nicely, and when it’s done, they’ll be able to make veritable oceans of hot sauce there. 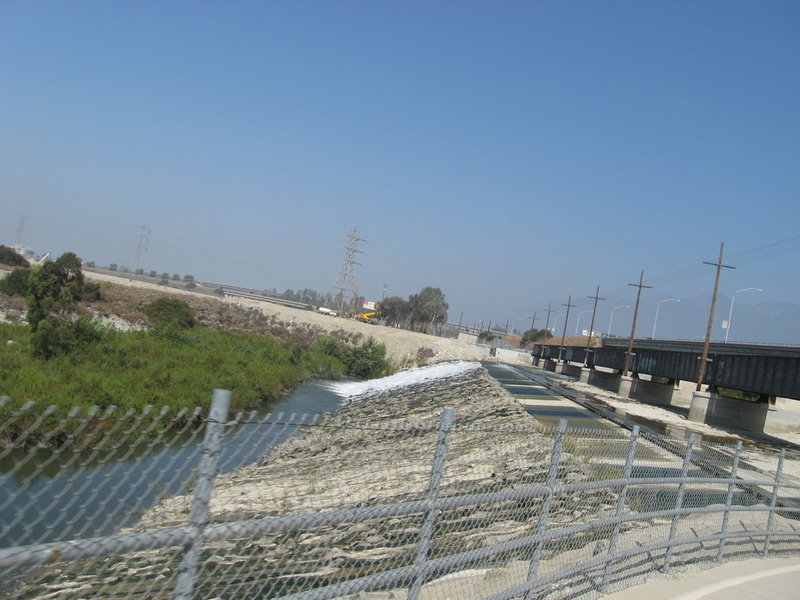 When we rode up the bike path through Santa Fe Dam, we could see that there was still quite a bit of water coming down from the mountains. For August, this is remarkable. Our snack stop was at Merengue in Monrovia. Then we headed home. It was a nice ride.